When charged with a Burbank DUI offense, a person must deal with two separate legal actions, the criminal case that transpires in the Superior Court and the DMV administrative action involving the driver's loss of driving privileges. These are two wholly separate actions that are similar in some ways but very different in others. Someone arrested for a DUI offense in Burbank will have his or her California driver's license taken away by the arresting officer from the Burbank Police Department, California Highway Patrol, Los Angeles County Sheriff's Department or other agency and will be provided an official notice of a suspension slated to start 30 days later. This suspension notice is provided to all drivers arrested for DUI, even if they have an out-of-state driver's license or no driver's license at all. To challenge an impending driver's license suspension, drivers must specifically request a hearing with the Department of Motor Vehicles within 10 days of being arrested. If the driver misses this deadline, his or her license will automatically be suspended without recourse. Having a Burbank DUI attorney retained early in the DUI process is critical as this attorney can handle this filing and make sure important deadlines do not slip by. Some drivers may falsely believe that nothing will happen with their driving privileges until the criminal case has been resolved in court. These drivers may subsequently wait until their case is about to go to court before retaining a lawyer. Unfortunately for these drivers, their driving privileges can be suspended independently of what transpires in court and failure to file the correct paperwork with the DMV would result in a license suspension. 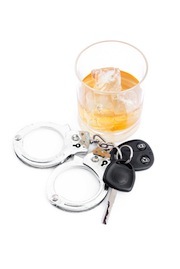 A Burbank DUI Lawyer will request that the suspension be stayed while the matter is pending. This effectively allows the driver to keep his or her driving privileges while the attorney can prepare and contest the license suspension. It may be necessary to file briefs, subpoena evidence or witnesses, and even present expert testimony depending on the facts of the case. A driver has nothing to lose by contesting the DMV license suspension and everything to gain. If he or she is successful and the suspension is "set aside," full driving privileges will be reinstated. If the driver loses at the DMV administrative hearing, the original suspension would go into effect with no additional penalties. Drivers may be under the false belief that the dual action involving the criminal courts and the Department of Motor Vehicles is "double jeopardy," as each can order a license suspension based on the same incident. However, this is not case as the suspension in court is considered a criminal punishment while any DMV suspension would be considered a remedial action that does not invoke double jeopardy protections. For DUI offenses occurring in Burbank, the DMV administrative hearing will be handled by a hearing officer from the Department of Motor Vehicle - Van Nuys Drivers Safety Branch Office. A hearing officer is not a lawyer or a judge and is employed by the DMV. The hearing officer acts as both the prosecutor who must present evidence of the driver's guilt as well as the judge who must ultimately render a decision as to whether or not a suspension is justified. A hearing officer determines whether or not reasonable cause existed to justify the stop and arrest of the driver and whether the driver's blood alcohol content was 0.08 percent or higher at the time that he or she was driving. The DMV administrative action is only concerned with drivers who are under the influence of alcohol, and those found to be under the influence of drugs would not face an administrative suspension. However, if these drivers are ever convicted of a DUI offense in court, they could then face suspension. The DMV administrative hearing can be handled in person or over the phone. The hearing officer may use the police reports and other documents as evidence or may call the arresting officer to testify as a witness. The driver also has an opportunity to testify as well as call his or her own witnesses. If represented by counsel, the driver need not participate or be present for the DMV administrative hearing. It is important to remember that the DMV administrative hearing has no bearing on the criminal case that would go forward at the Burbank Courthouse, and vice versa. Thus a driver can win his or her DMV hearing but ultimately be convicted of Driving Under the Influence and then face a suspension of driving privileges. This would occur where the conviction is for DUI, but would not occur with many reduced charges that a defendant may ultimately plead to, such as wet reckless or exhibition of speed. If you have been arrested for a Driving Under the Influence offense in the Burbank area, it is absolutely critical that you consult with a Burbank DUI Lawyer immediately, as critical DMV deadlines may be missed if you do not act quickly. Burbank DUI Attorney Michael Kraut is a former Deputy District Attorney with over 14 years of prosecutorial experience who is highly adept at handling both criminal DUI charges and the accompanying DMV administrative action. For more information about Burbank DMV administrative hearings, and to schedule your free consultation, contact Burbank DUI Defense Lawyer Michael Kraut at the Kraut Law Group located at 2600 West Olive Avenue, 5th Floor, Burbank, CA 91505. Mr. Kraut can be reached 24/7 at 888-334-6344 or 818-563-9810.